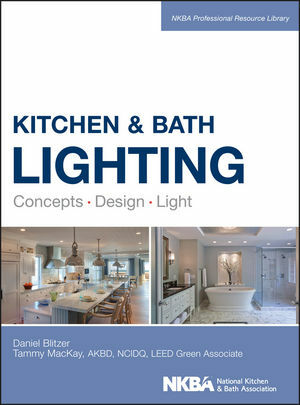 Co-published by the National Kitchen and Bath Association (NKBA), Kitchen and Bath Lighting is the go-to resource for designing, planning, and installing light in residential kitchen and bath projects. Full color illustrations throughout the book make Kitchen and Bath Lighting a visually absorbing experience. This beautiful volume begins with the basics of light, color, and vision, progressing from there through every stage of the residential lighting design process. With special attention to sustainability and lighting for older eyes, this book contains the information you need to know about the latest trends impacting the lighting industry. Because the NKBA established the standard kitchen and bath guidelines for both new construction and remodels, Kitchen and Bath Lighting is aligned with the practices that are in high demand. This book is also an excellent choice for anyone hoping to obtain credentials as a Certified Kitchen Designer or Certified Bath Designer. 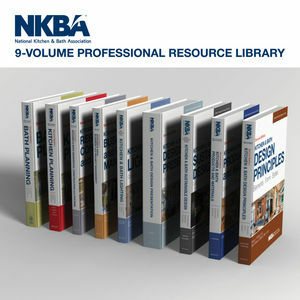 This new addition to the NKBA's Professional Resource Library is an essential reference for kitchen and bath designers, lighting designers, and interior designers, as well as contractors, retrofitters, specifiers, and anyone else involved in lighting kitchens and bathrooms. Kitchen and Bath Lighting will give you the visual understanding of lighting that can lead directly to client satisfaction. Daniel Blitzer is Lighting Certified and is a member and past president of the Designer's Lighting Forum of NY, member of IESNA, and a director of The Nuckolls Fund for Lighting Education. Tammy MacKay, AKBD, NCIDQ, LEED Green Associate is an Edmonton, Alberta-based registered interior designer and certified kitchen and bath designer, and teaches lighting at the University of Alberta.